Seasonal STEAM (Science, Technology, Engineering, Arts, and Math) Building Challenges are FUN while also offering opportunities for kids to use important critical thinking skills. 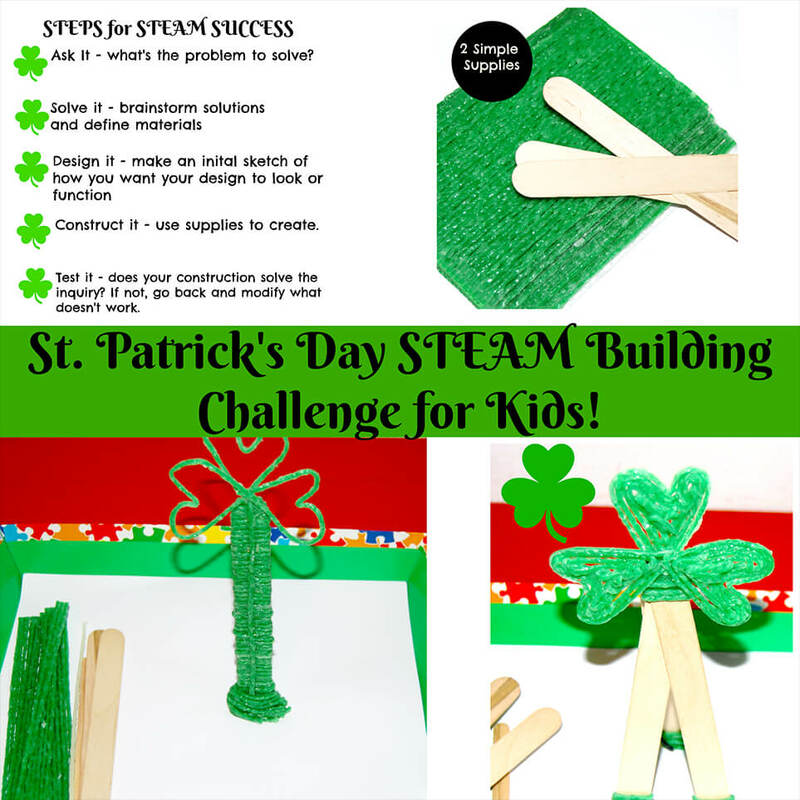 With just 2 simple supplies, kids can learn and play with the free-standing shamrock STEAM building challenge from Wikki Stix. Objective: to encourage kids to use cross-disciplinary tools in order to gain new problem-solving knowledge they can take beyond the home or classroom and apply to the everyday world. Science: Kids will use skills within the scientific method (observing, communicating, comparing, organizing, and relating) while planning, constructing, and documenting learning in the free-standing shamrock building challenge. Technology: Kids will use digital cameras to photograph their own shamrock designs and print the photos to share with peers, family, and friends. 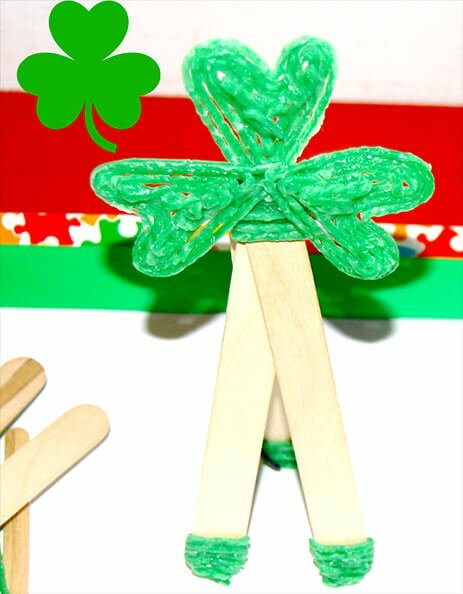 Engineering: Kids will construct a free-standing shamrock from simple supplies that exhibit early attempts at engineering. Arts: Kids will use individual creative expression to plan, design, and construct the free-standing shamrocks. 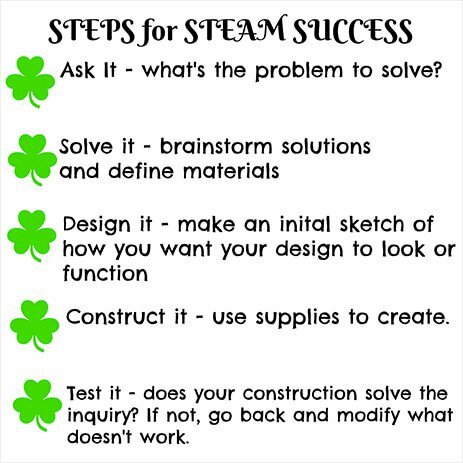 Math: Kids will use mathematical skills (estimation, same/different, lines, patterns) to construct the shamrocks and gain knowledge of mathematical relationships in the STEAM challenge. 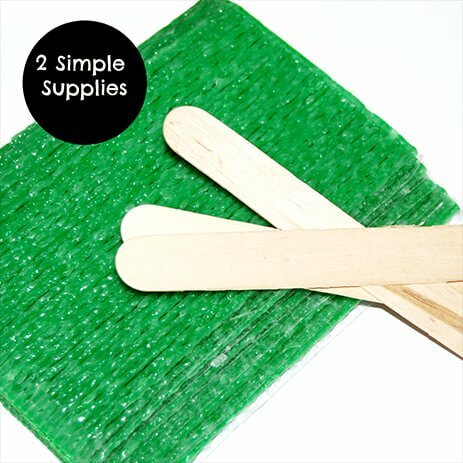 STEAM Inquiry: Kids are asked to construct a free-standing shamrock using ONLY the supplies below. 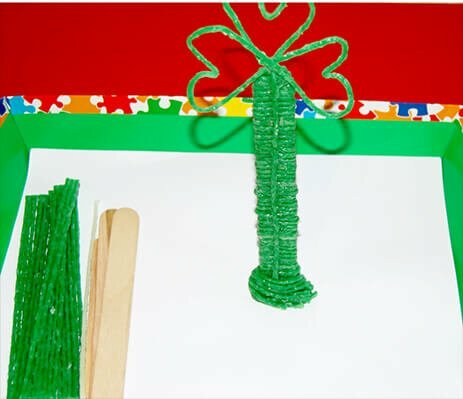 Kids will ask how they are supposed to create the free-standing shamrock (the shamrock must stand independently without assistance from the kids). Invite kids to help solve the inquiry by offering open-ended feedback to invite critical thinking and problem-solving skills. Remind kids that making a sketch of their potential designs often helps prior to constructing with supplies. 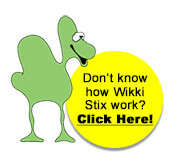 It’s fun to watch kids creating, thinking, and problem-solving with Wikki Stix. While the STEAM inquiry is simple, the results are amazing. Each student-artist will design a free-standing shamrock a bit differently than another. Invite kids to take digital photographs of the construction and testing phase. By looking at a photo, kids can often tell how to modify a design to work better (they can also share photos with family and friends). In this photo, kids partnered to create their free-standing shamrock design. The kids made an initial drawing of how they wanted their shamrock to look and function. They ended up modifying the construction by wrapping additional Wikki Stix around the base for support, but it was a great design. An individual student created the free-standing shamrock above. In the testing phase, the student didn’t use the support of the third craft stick behind the project. The shamrock toppled over from the weight on top. The third craft stick was then added to support the design.